Picking the right online college is tough for everyone. If you have a disability, there’s the added stress of making certain coursework will be adaptable to your unique needs. That doesn’t mean you should put off college though. Approximately 11 percent of post-secondary students have some disability according to the NCES. Since the Americans with Disabilities Act (ADA) was passed in 1990, higher education has become more inclusive to disabled students. Whether you have ADHD, dyslexia, autism, blindness, hearing loss, cerebral palsy, or other delays or disabilities, colleges must make reasonable accommodations. Yet some online universities excel better at promoting equal opportunity. Here we’ll recognize the 10 Best Online Universities for Students With Disabilities. To begin, we looked for regionally accredited colleges offering at least five programs 100 percent online with no campus trips. We then surveyed the online schools’ disabilities office to determine the extent of support given. Priority was given to universities where tutoring, academic accommodations, specialize curricula, assistive technology, and mentoring were offered. We wanted to ensure high-quality, inclusive online education, so we consulted the U.S. News and World Report and Forbes rankings. The NCES College Navigator tool was used to determine average yearly undergraduate tuition at each online school. Other factors considered were class size, diversity, location, degree specialties, financial aid, and institutional mission. Online education can be an excellent alternative for students with physical or sensory disabilities to avoid trips across vast college campuses. Students who are deaf or hard-of-hearing can benefit from reading online lectures instead of requesting an interpreter. Online programs offer challenges for individuals with learning, vision, and intellectual disabilities though. Less interaction with professors can make grasping content extra difficult. Luckily, many online colleges are bridging the gap by delivering quality disability services. Ranked 10th Nationally by the U.S. News, Johns Hopkins University is a prestigious private, co-ed research institution in Baltimore, Maryland, with around 20,800 students. JHU currently offers 16 online programs through Blackboard. Online learners with special needs have access to Disability Services and a 24/7 help desk. There’s also the Center for Talented Youth (CTY), which offers online programs for gifted K-12 students. Available online degrees at Johns Hopkins include the Master of Liberal Arts, M.S. in Bioinformatics, M.S. in Government Analytics, and M.A. in Museum Studies. Learn more about John Hopkins University’s Special Online Degree Programs for Students With Disabilities here. Since 1998, the Pennsylvania State University World Campus has been the online division of State College’s premier public, land-grant research institution with over 100,000 students. The U.S. News ranks Penn State as America’s 14th Top Public School. PSU’s Office of Disability Services configures various accommodations in Canvas, such as transcribed videos, extra testing time, and content diagrams. Students with disabilities can select from over 120 online programs. Popular accredited options include the B.A. in Economics, B.S. in Information Technology, Master of Business Administration, and M.Ed. in Special Education. Learn more about Pennsylvania State University’s Special Online Degree Programs for Students With Disabilities here. Established in 1864 as the Rockies’ first private Methodist institution, the University of Denver enrolls over 11,700 students from the capital of Colorado. According to the U.S. News, DU is the 86th best national university with the 20th Top Online Bachelor’s Degrees. The College of Professional and Continuing Studies confers six bachelor’s and 10 master’s programs online using Canvas. Disabled students greatly benefit from individualized academic support via DU’s nationally recognized Learning Effectiveness Program (LEP). Online offerings include a B.A. in Communication Arts, B.A. in Environmental Studies, and M.S. in Healthcare Leadership. Learn more about the University of Denver’s Special Online Degree Programs for Students With Disabilities here. Regionally accredited by the NWCCU, Oregon State University is a public, space-grant RU/VH research institution with more than 30,000 students studying in Corvallis and online. OSU has been crowned the country’s 68th top public school with the seventh best online bachelor’s. The ECampus currently offers 20 undergraduate and 12 graduate degrees online. Thanks to the Disability Access Services (DAS), e-learners can receive accommodations like captioned media, accessible testing, and alternate assignments. Offered online programs include the B.S. in Horticulture, B.A. in Political Science, and MBA in Business Analytics. Learn more about Oregon State University’s Special Online Degree Programs for Students With Disabilities here. Placing God first since 1899, Azusa Pacific University is a private, evangelical Christian college located in the Los Angeles suburbs to educate over 10,700 students. Nationally, APU is named the 175th Best University by The U.S. News and World Report. Online learning is available for 33 bachelor’s and master’s programs. Through the Learning Enrichment Center (LEC), online students gain access to Disability Services for academic and technical assistance. Custom accommodations can be made for online degrees like the B.A. in Applied Psychology, B.S. in Health Science, M.A.Ed. in School Librarianship, or M.A. in Modern Art History. 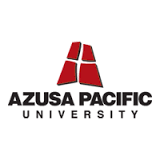 Learn more about Azusa Pacific University’s Special Online Degree Programs for Students With Disablities here. Based in Beantown’s Dorchester neighborhood, the University of Massachusetts Boston is a public, metropolitan institution serving over 16,700 students. 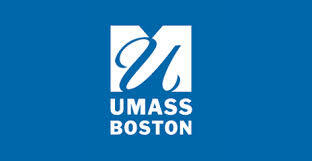 According to Forbes magazine, UMass Boston is the 200th best research university nationwide. The College of Advancing and Professional Studies delivers 17 accredited online degrees. Students with disabilities could pursue the B.A. in Global Affairs, RN-to-BSN, M.S. in Gerontology, or M.A. in Applied Linguistics online. The Ross Center will provide top-notch disability services, including assistive technology and subject tutoring. Learn more about the University of Massachusetts Boston’s Special Online Degree Programs for Students With Disabilities here. 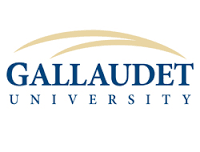 Educating around 2,400 students, Gallaudet University is a private, congressionally chartered institution providing barrier-free education to deaf and hard-of-hearing students in Washington, DC. The U.S. News crowned Gallaudet the North’s 19th best college with the 159th best online bachelor’s programs nationally. Eight online programs are offered via Blackboard and webcam using ASL. Students can also receive advising, tutoring, and peer mentorship from the Academic Support Center. Students may pursue the Bachelor’s in Deaf Studies, Bachelor’s in Psychology, M.A. in Sign Language Education, or M.A. in Mental Health Counseling online. Learn more about Gallaudet University’s Special Online Degree Programs for Students With Disablities here. Located in Greater Grand Forks, the University of Minnesota Crookston is a four-year, public baccalaureate institution first opened in 1905 and serving over 1,800 students. As the original “Laptop U,” UMC is recognized for America’s 63rd Best Online Bachelor’s Programs. Students can select from 14 online undergraduate majors and three certificates. Online learners with disabilities could finish the B.S. in Sport & Recreation Management, B.S. in Health Management, or B.S. in Communication. Help is available nationwide with the Disability Resource Center (DRC), including app aids, adaptations, and accessible technology. Learn more about the University of Minnesota – Crookston’s Special Online Degree Programs for Students With Disabilities here. With the motto “Equity, Exemplar, Excellence,” Eastern Michigan University is a public, co-ed teaching institution of over 23,400 students in Ypsilanti. The U.S. News recognized EMU as the Midwest’s 27th Top Public School with the country’s 161st Best Online Graduate Education Programs. EMU-Online offers an inclusive environment for 20 different programs. Students with disabilities earn assistance from the Disability Resource Center (DRC). For instance, the CATE Lab’s software can convert text to Braille. Online programs include the B.S. in Dietetics, B.S. in Technology Management, and M.A. in Educational Psychology. Learn more about Eastern Michigan University’s Special Online Degree Programs for Students With Disablities here. Headquartered in Davenport, Iowa, Kaplan University is an independent, for-profit distance learning institution enlightening over 43,000 students from 14 campuses and online. The USNWR distinguished Kaplan for hosting America’s 137th best online bachelor’s degrees. Online students can select from over 110 fully online programs. Following ADA regulations, Kaplan has a Center for Disability Services (CDS) to protect learners’ unique needs. Trained tutors are on-hand daily for live academic assistance sessions. Available online degrees include the B.S. in Human Services, B.S. in Legal Studies, M.S. in Finance, and Master of Health Informatics. Learn more about Kaplan University’s Special Online Degree Programs for Students With Disablities here. This entry was posted in University Rankings on June 22, 2016 by tjentz.